A private Australian exploration company has claimed that it had found the remains of the disappeared Malaysia Airlines flight MH370 in the Bay of Bengal, 5,000 km away from the current search zone in the Indian Ocean and about 190 kilometres south of Bangladesh. The search authorities however dismissed the possibility. The wreckage was reportedly spotted by an Australian geophysical survey company Adelaide-based GeoResonance who began its own search on March 10. “The company is not declaring this is MH370, however it should be investigated,” GeoResonance said in a statement. The company said that it had passed on the information to Malaysian Airlines and the Malaysian and Chinese embassies in Australia on March 31, and to the JACC, the Joint Agency Coordination Centre (JACC) who manages the multinational search for the missing plane, on April 4. The company said on its website that it offered unique and proven method of geophysical survey that detects electromagnetic fields from various chemical elements. The company spokesperson David Pope said that it used technology originally designed to find nuclear warheads and submarines. 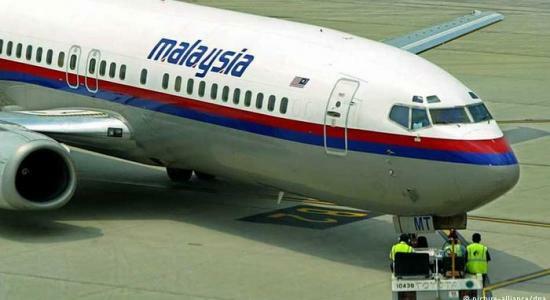 Flight MH370, with 239 passengers on board including 12 crew members, went missing in March en route from Kuala Lumpur to Beijing triggering a massive search operation involving aircrafts, ships and sophisticated underwater equipment from twenty six countries that had not been able to detect any traces of the plane so far.